Gain insight into basic museum exhibit design principals and research methods to aid in the development of student projects. Hear content experts explalin historical arguments supported by evidence as an approachable way to navigate Museum exhibits. Learn to draw upon Wisconsin history as a case study for historical inquiry, research and analysis. Our object-based learning model challenges students to "Think Like a Historian" by encouraging them to think critically, make personal connections, and to evaluate information by asking "why," "how," and most importantly, "how do you know?" Wisconsin Historical Museum field trips support and enhance core language arts standards while uniquely providing a different learning environment for students. Museum programs support "Common Core English Language Arts Standards for Reading: Informational Text and Speaking and Listening." Program content and Wisconsin Department of Public Instructions standards will vary based on the personality of the content expert who guides the group through the Museum. Learn more about how our tours meet Wisconsin's standards. Call our Tour Services Coordinator at 608-264-6557 or email us in advance to reserve your field trip. 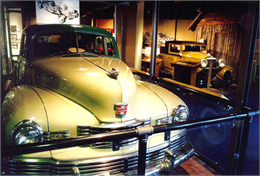 We will work with you to identify your group needs and tailor a program to enhance your Museum visit. Learn more about Museum Field Trip Reservations. The Museum features artifacts and exhibits that tell about the stories and shared experiences of the many cultures that settled in this remarkable state. To get directions, parking maps, and more, see Location and Directions to the Museum. To get the latest information our exhibits, field trip packages, and tips for a successful visit, see Wisconsin Historical Museum field trips.